Today we’d like to introduce you to Maria Capp. Maria, let’s start with your story. We’d love to hear how you got started and how the journey has been so far. In the fall of 2014, Cappricielli Inc. / I produced and directed the stage production of Dog Sees God: Confessions of a Teenage Blockhead. (DSG). 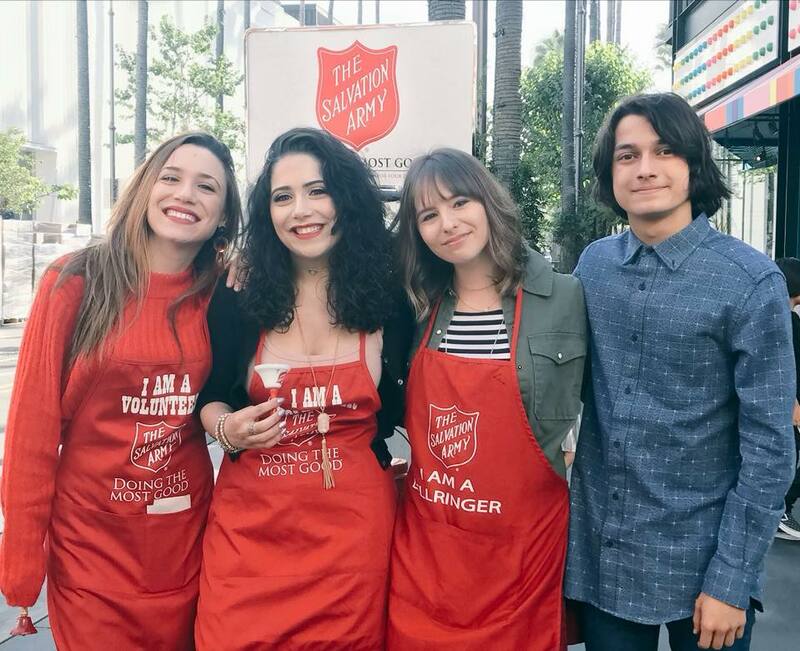 It was a cathartic experience and a wonderful opportunity to employ and collaborate with young professional talent here in Los Angeles, all of whom were either my acting clients, or friendly with my daughters, Raffaela and Natasha, who are also actors. Dog Sees God is a stage play and “theatre geek favorite” as popular today as it was 14 years ago when it premiered in New York and is written by Bert Royal (screenwriter/TV writer of Easy A and the Freeform TV show, Recovery Road). 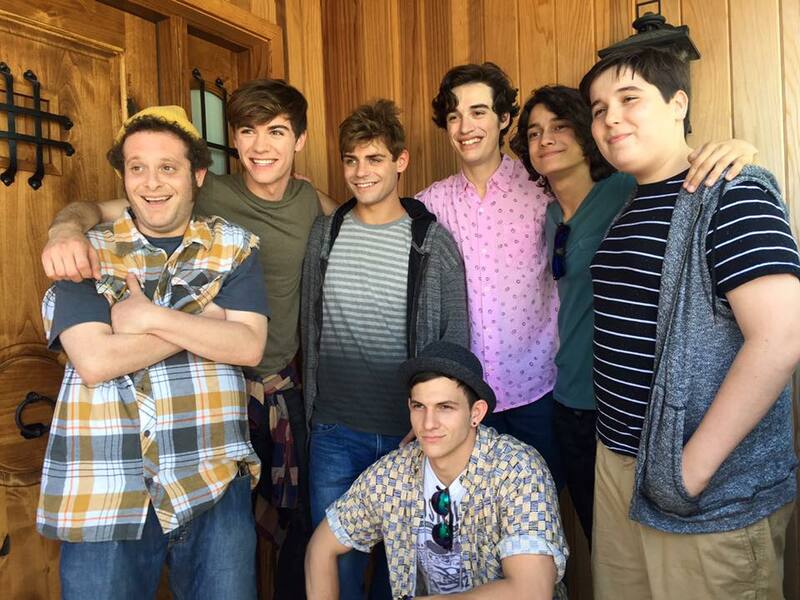 Dog Sees God explores teen angst among a group of high school friends struggling with the typical teen issues that have stood the test of time. Several themes hit home, including Teen Suicide, Bullying and Identity Formation. Especially because of the loss of a young teen in Sayville (my home on Long Island) Mark Ambrosini who passed away to suicide in April 2013. He was a member of the Sayville High School Drama Club and a dear friend to many of my students. Cappricielli partnered with a mental health organization, Free Your Mind Projects (www.freeyourmindprojects.com/) and anti-suicide / bullying organization, The Trevor Project (www.thetrevorproject.org) to create awareness and promote an ANTI-Suicide, ANTI-Bullying, supportive Identity Formation Campaign. The play DSG examines the idea of what happens to kids between elementary and high school that cause them to redefine their friendships, how they interact and how they treat others. It prompted me to explore WHAT are the circumstances that push a teen to hurt themselves or hurt another human being. This is how I started my journey of creating the documentary story, Find an Identity. The Ambrosini family have become dear friends and were involved in sharing their story and story of their deceased son, Mark. I’ve completed research, interviews and principal photography on this documentary and it will be released this spring as a documentary short film. My desire to further create awareness, action and compassion surrounding the real issues that affect high school teens on identity formation beyond the crisis of bullying and suicide. In 2015, I cast Johnny James Fiore (lead in DSG) in a commercial/on camera project. Because of my work on Find an Identity and DSG, he shared a story idea he had with his writing partner, Grant Harling. 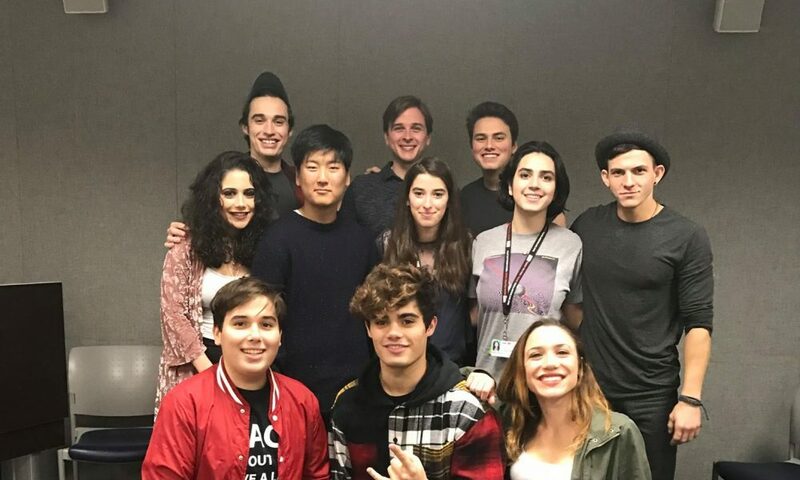 The idea was about a high school senior contemplating committing suicide, but because of the new friendship that ensues, overcomes his struggles with depression and bullying. This is the catalyst in the character’s REACHing beyond the confines of his high school destiny and creating a NEW DESTINY filled with promise, hope and love. Grant, Johnny and I decided to collaborate on writing the story. Hence, the script for REACH was born. Many revisions, table reads, meetings, development ideas and almost three years later, we had a solid script. REACH won an award for best screenplay at the Hollywood and Vine Film Festival officially making us award-winning screenwriters. Over the last 5 years, I’ve submerged myself in the filmmaking community to understand the business of filmmaking, pre-production, production, distribution and most importantly the strategic planning that necessitates raising funds for a project and packaging it to sell. Meetings, festivals, workshops, classes, networking and just plain asking questions led me to Charles Box, p.g.a. He came on board to assist with the pre-development and pre-packaging of REACH as it applies to the top tiered film festivals as well as leverage his years of relationships established through his alumni status at Chapman University and professional experience with Creative Minds – A festival internship company. Charles diligently invested time and energy to guide and learn alongside me to make a SAG ULB movie. After an impromptu conversation with Charles’ old friend and colleague, Autumn Bailey Ford, she joined team REACH as a producer. That was March 8th 2017. Just a little over two and a half years of writing and development. Autumn brought to our team expertise, relationships, confidence, faith and experience on over 37 films to her credit and a commitment to Reach’s story. It has been a non-stop, 24/7 vortex of high-speed energy to land us where we are today. We shot the film in just 12 days of shooting with a wonderfully talented cast and hardworking, dedicated crew. 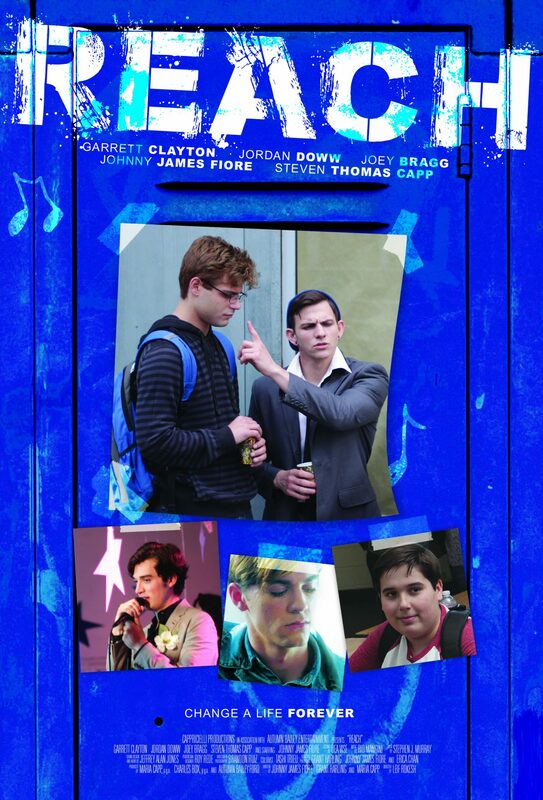 The inspiring cast includes: social influencers and teen heart throbs – Joey Bragg, Garret Clayton, Jordan Doww, as well as the young man who originally shared his truth – Johnny James Fiore. Everyone who came to this project came because the story resonated with them. Everyone can relate to the loss of a loved one or peer, conflict with a parent or child, feeling alone, been victimized or bullied or perhaps, been the bully…. REACH is about the underdog. It is about a teen boy reaching beyond what is expected. Reaching what is possible because of the kindness, friendship, and affirmation of another person. Reach provides an eye’s view and compassion for the lives of both the victim and bully. It is a story about how the power of one small gesture can change the course of one’s life forever. Many miracles have occurred thus far including but not limited to: Press Coverage including The Hollywood Reporter, Variety and Deadline – top industry trades; Rio Mangini, son of Academy Award winning musician/sound designer Mark Mangini is on board to compose the music and score. The top teen pop band, Forever in Your Mind (FIYM) song, Compass (Hollywood Records) is also part of the music. My producing REACH has been my greatest challenge and producing commitment thus far. Everything, every person, every experience I’ve had in business and the arts prepared me for REACH. The biggest obstacle initially was the limited beliefs I had placed on myself as I embarked on all things related to being a “filmmaker” making it in Hollywood. I had imagined what that was supposed to look like. I thought it had to be particular school, specific Hollywood production experiences, type of representation, etc. At the end of the day, I just needed to be myself, continue to forge ahead with the skills and experiences I’ve accumulated and trust in the authenticity of my desire to tell the stories I wanted to tell and create the content I desired to create. That that would be enough. Once I accepted that I am enough, I was able to just be me and I been non-stop ever since. All challenges that I’ve encountered are actually fun as long as I take that moment to step back and laugh. I have to sit still and focus. And then I shift to finding a solution. And solutions are always available. I actually thrive on the day to day challenges. The other obstacle – Is being a woman in a man’s world. The daily challenge of finding that balance to assert myself while also being viewed as an equal. Cappricielli Productions Inc. – what should we know? What do you guys do best? What sets you apart from the competition? In 2012, Cappricielli Inc. was formed as a multi-faceted production company. We create a wide array of entertaining and socially conscious film, video, web, theater, and music content. Some award-winners include the music videos, SO WHAT (International Family Film, Dances With Films, Rahway Film, and the Hollywood & Vine Film Festival) and HURRICANE, performed by artist Raffaela, (featuring Chris Redd from SNL) which won for Best Music Video Award and Grand Jury Award for an Artist Performance in the 2016 Hollywood & Vine Film Festival. 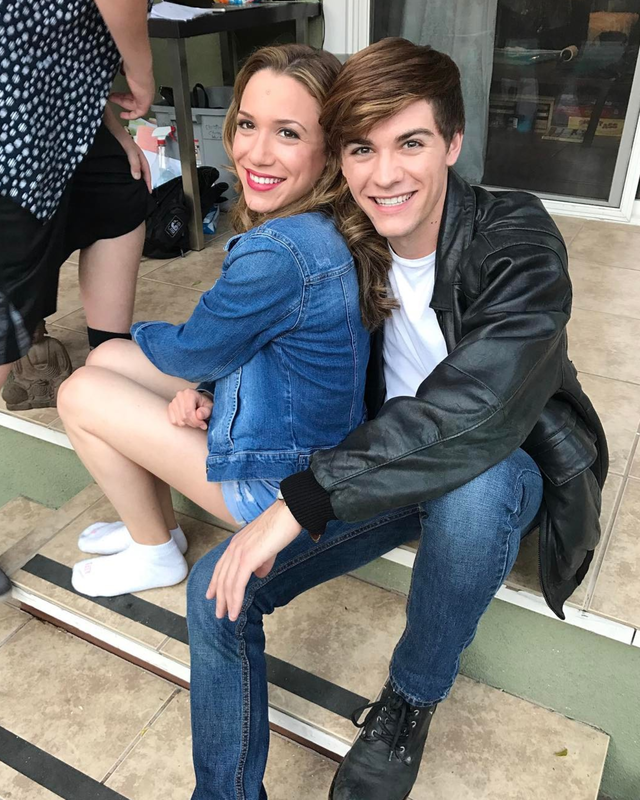 As a producer, Cappricielli Inc. is excited to share the much-anticipated release of the feature film, REACH, starring Garrett Clayton (Teen Beach Movie and Hairspray: Live); Joey Bragg (Liv & Maddie); Jordan Doww; and Corbin Bernsen which is about how the power of one small gesture can change one’s life forever. Being on set for Cappricielli’s first music video – “So What”. We shot it on location at the old La Salle Military Campus on Long Island and at Screen Gems Studios on Lexington Ave in NYC. Seeing my short film (I directed), “Taking A Chance On Love” on the big screen during the Dances With Films Festival at Mann’s Chinese Theatre in Hollywood. The audition process for REACH. Sitting in the casting room and hearing the words of REACH come to life through the generosity of each and every actor who shared their emotional story with our words. 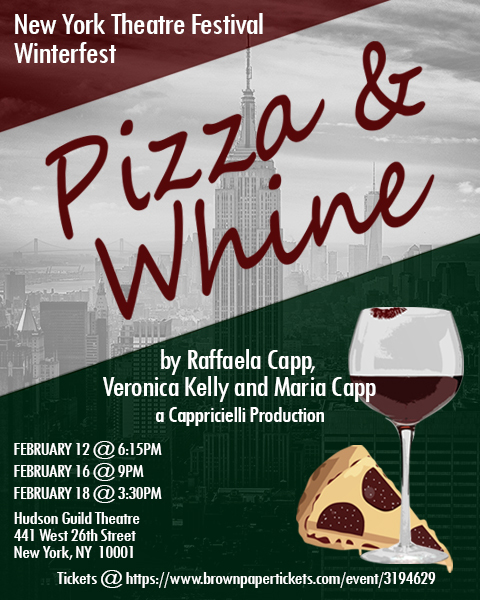 Writing my original play, “Pizza and Whine” with my daughter Raffaela and niece Veronica in honor of my mom, Millie who recently passed away. all other photos are Rich Rose and Alex Karavay and include cast members.